How is spiritually connected to our relationships? The key feeling in Authentic Spirituality is a love-based spiritual connection within, which provides a greater sense of security, well-being, and inspiration to fulfill our life dreams. 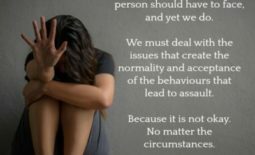 This source frees individuals not to base their security on others, alleviating many problems in relationships. We will continue to discuss relationships in depth on www.celestinevision.com and The Celestine Vision Community Radio Show. How is spiritually and our health connected? What can we do to get started on this path? Spiritual inspiration makes us want to go out and do great things in our lives. The food we eat determines how much energy we have. When we feel bad, the lack of energy holds us back from being all we can be. We will discuss the best foods to eat and how to maintain healthy lifestyles that will support the basic energy we need to fulfill our Spiritual missions and design. The goal is to follow the advice of Integrative Doctors that are up to date on the latest factors, which promote longevity and healthy living. These factors include healthy and organic eating, getting enough sleep, and adding dietary supplements to keep your blood levels and key nutrients at optimal levels. How can we observe Synchronicity? Our awareness of Synchronicity begins when we realize that some of the daily coincidences in our lives are not coincidences at all. They are mysterious events that transcend the laws of chance and bring us information, at just the right time, to propel our lives forward. For instance, someone might be considering a life change, perhaps a career change. Later, this person takes a seat on a subway next to someone who has just made a similar career change. Synchronicity occurs when he receives a tip encouraging him to take the first step. Becoming aware of these Synchronistic moments is life changing because we realize that the universe is designed to help us fulfill a destined contribution to the world. All we have to do is stay aware of the process. How can Intuition impact our lives? Discovering our INTUITIVE abilities is the foundation for the Synchronistic flow of our lives. When we perceive our intuition entirely, it feels as though we are being helped from a Divine Intelligence, of which we are a part. Intuition gives us a sudden knowing about how to solve a problem, improve a relationship, or pursue our spiritual search. These are different from ordinary thoughts because they simply arrive in our minds with a feeling of inspiration or breakthrough while suggesting a particular act we should make. This act could pertain to any area of life. It might be to go somewhere or to strike up a conversation with a stranger. It usually leads to a Synchronistic experience of some kind that extends and enhances our lives. What is your advice for writing/publishing books? A book is a lengthy project. The first thing you have to do is write the book. There is not much help you can obtain unless you have a confidante, but mostly you need to write it from beginning to end. When it is complete, I advise you not to consider it finished. I suggest you make copies and have your family, friends, and friends of friends read it and give their honest opinion and provide feedback. Use this feedback and consider the synchronicity in your life to guide you. Find out where your information lost the reader and then solve the problem. Edit, enhance, and redistribute your book. When people say, “WOW, this is good,” or “Can I please get another copy for my friends so we can discuss it,” you will know you have a gem. Make this the goal. Your book will never be considered for publication until you have this kind of reaction from each reader. For more support, see my article, A LOOK AT THE WRITING PROCESS. Do you recommend other books or products/services that have helped you along the way? I am a reader/seeker of knowledge at heart, so I am constantly reading up on what is going on in the world, especially when it comes searching for a deeper spiritual understanding, personal development work, and the latest research on preventive medicine for heath and longevity. My kids laugh that I am trying to live forever.. In any case it gives me great joy to be able to recommend the information I have found invaluable over the years. With anything that I recommend on celestinevision.com, I have personally used in my daily life (most of them for years). 25% of revenue obtained by celestinevision.com goes to support our selected charities and the other 75% goes to support the staff that manages celestinevision.com and the technology for future projects and platforms on celestinevision.com. Thank you again for your support!! We are very excited as we approach the two-year anniversary of www.celestinevision.com online learning platform. We have come a long way, driven by your participation, beautiful conversations, and thoughtful insight surrounding this project. We can not thank you enough for all the love we have received as we work to make the Celestine Vision website something special for all to enjoy. 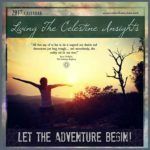 Don’t Forget to reserve your copy of The 2017 Living the Celestine Insights Monthly Calendar! Please email us at webdirector@celestinevision.com with any comments or suggestions! We would love to hear from you! We continue the celebration of The Celestine Prophecy and The Celestine Vision website with your pictures and stories of synchronicity. Check out Your Stories for more information.